Superdry men's Athletico sport t-shirt. This t-shirt features four way stretch to allow dynamic movement and comfort whilst you work out. 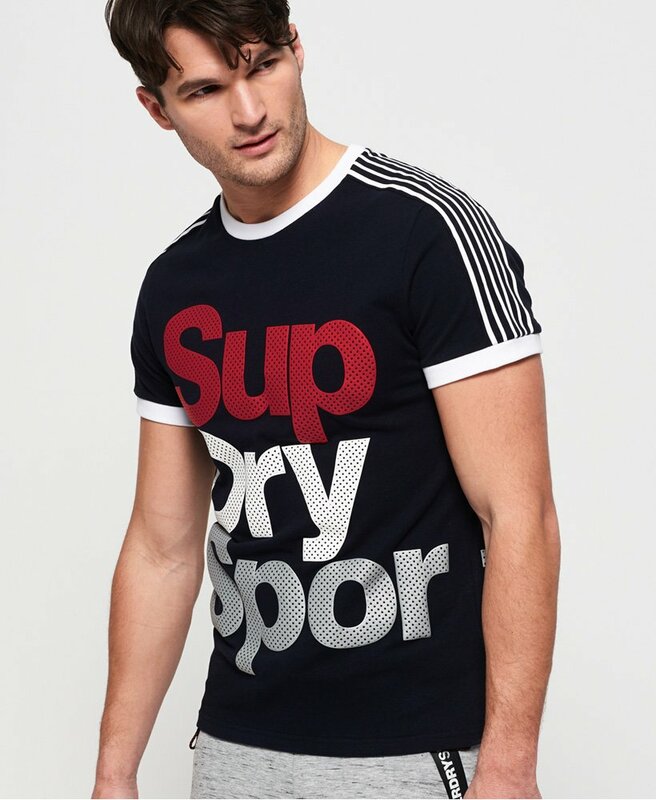 This t-shirt also features a large textured Superdry logo across the front and part of the back, textured stripe detailing down the sleeves and finished with a textured Superdry logo on one sleeve.